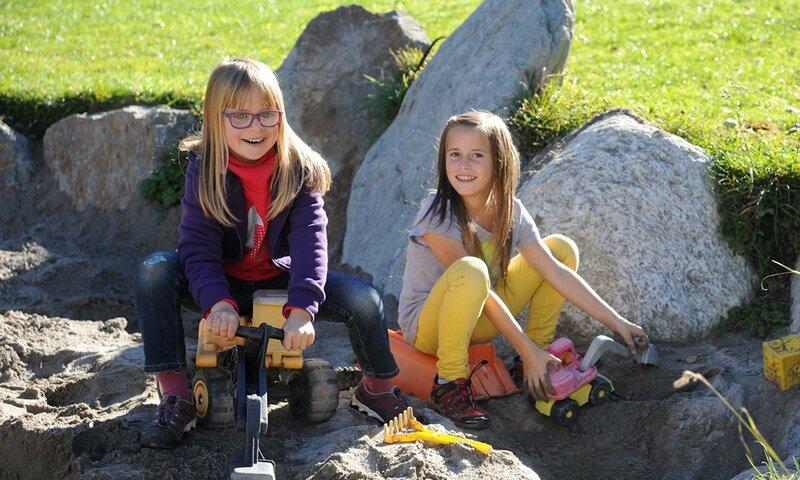 In spring 2018 we enlarged our playground. 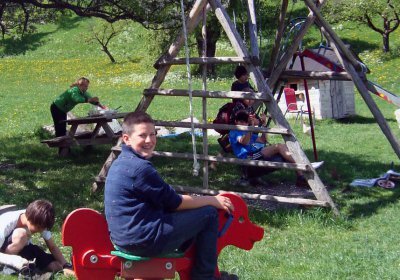 Knights’ castle, swings and slides as well as water fun and fruit bushes are waiting to be discovered. 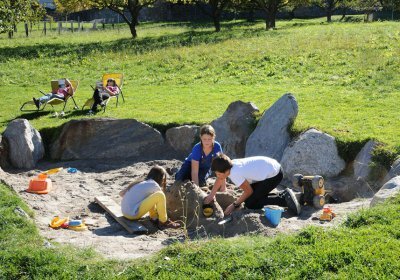 Our Hof am Schloss is a real paradise for children. 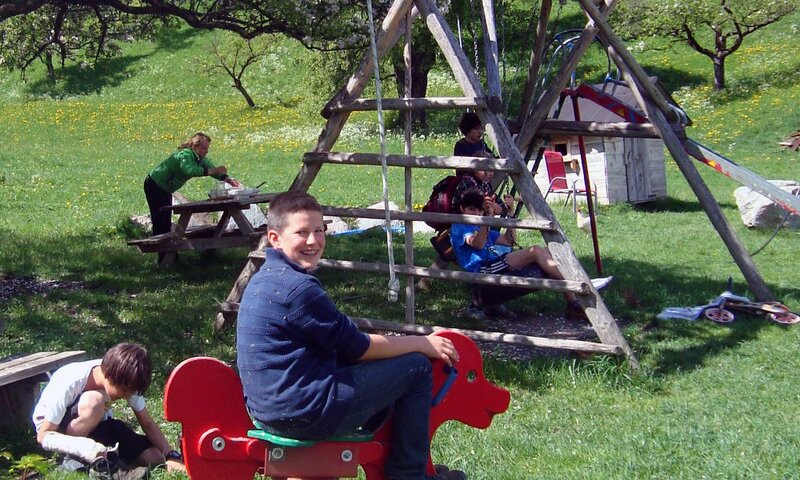 During a farm holiday with children young guests have a lot of possibilities to play without worries. 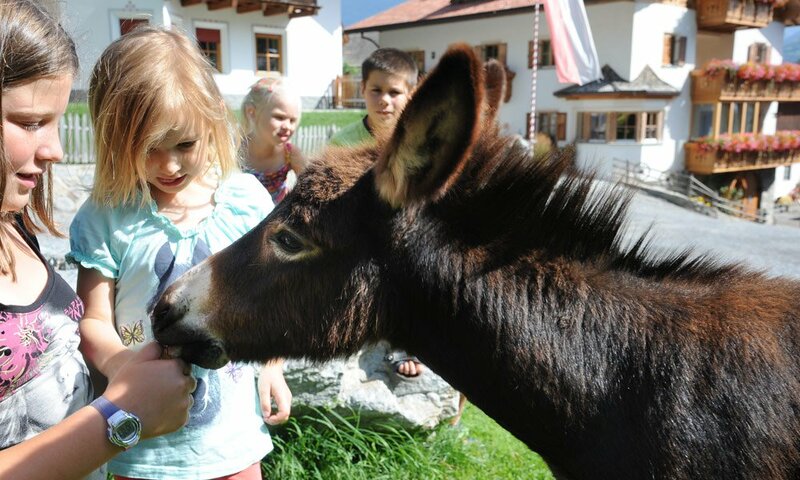 And our four children always look forward to new holiday guests and like to make friends. 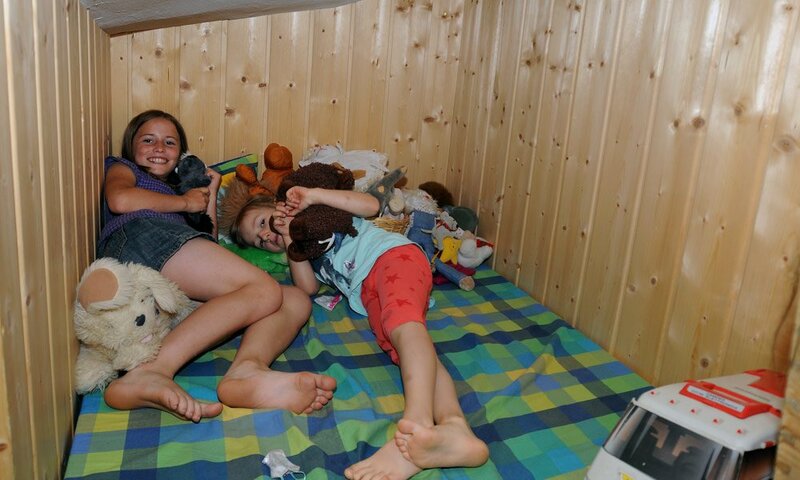 Just the right so that you and your children spend carefree days. 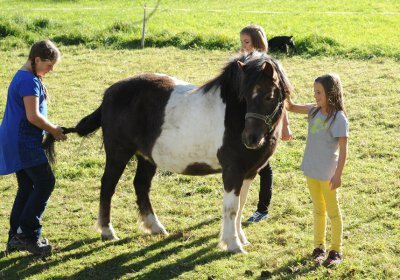 Particularly popular with holidaymakers are of course our numerous animals that are always happy to have visitors. 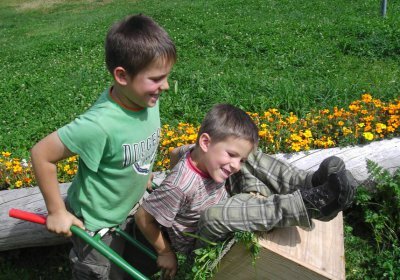 Children can accompany us in the barn if there is work to do. There you will find cows with their calves, pigs, ducks and chickens. 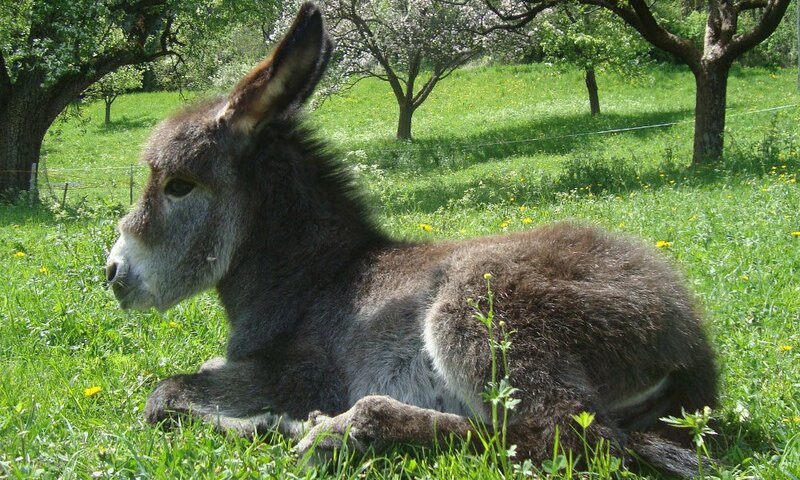 Here from time to time there is always the chance to see newly born animals and to feed a calf. 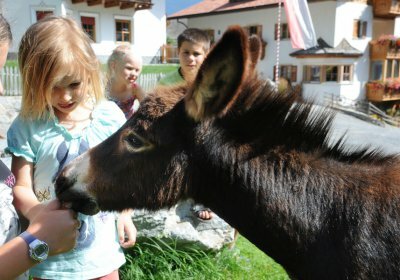 During a farm holiday with children this is always a special experience. But there are even more animals. 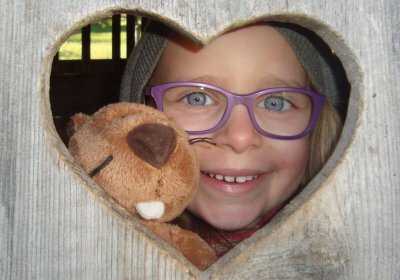 On our farm we also have a petting zoo, which has always been a popular meeting point for children, where so many rabbits and poultry can be found. 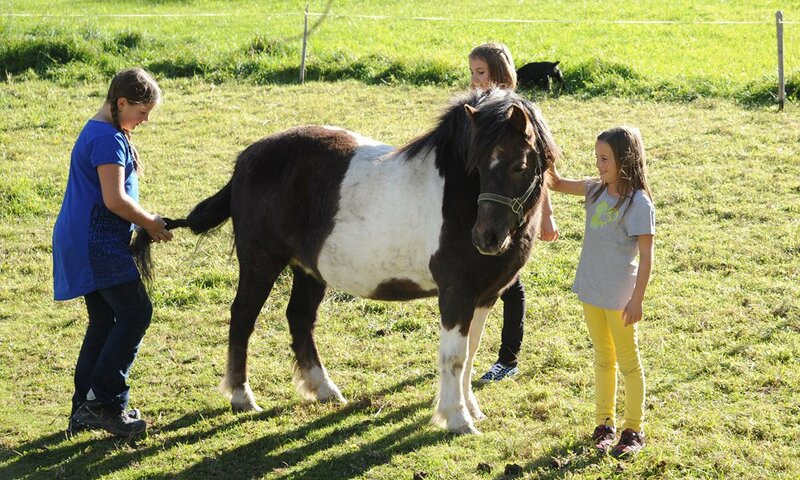 Very popular are also our pony Sammy and our donkey: always happy about some love or a freshly groomed mane. And last but not least also our little dog Aika awaits someone playing with him. 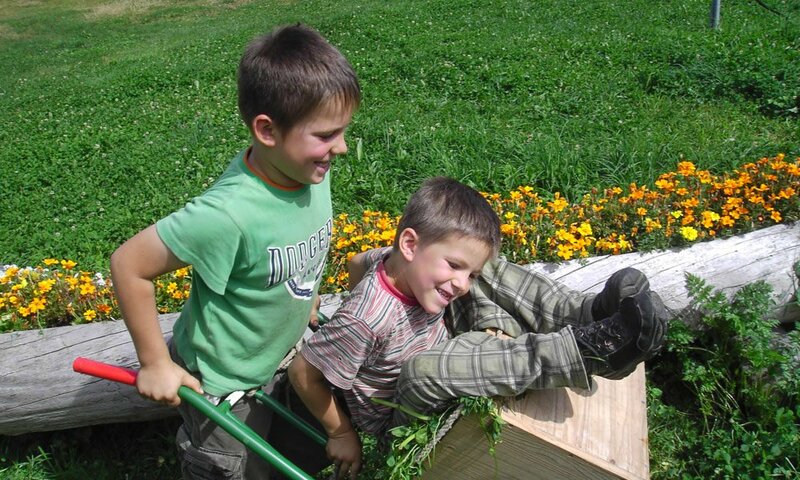 On our two acre and fenced area you can go around with your children to your heart’s content. 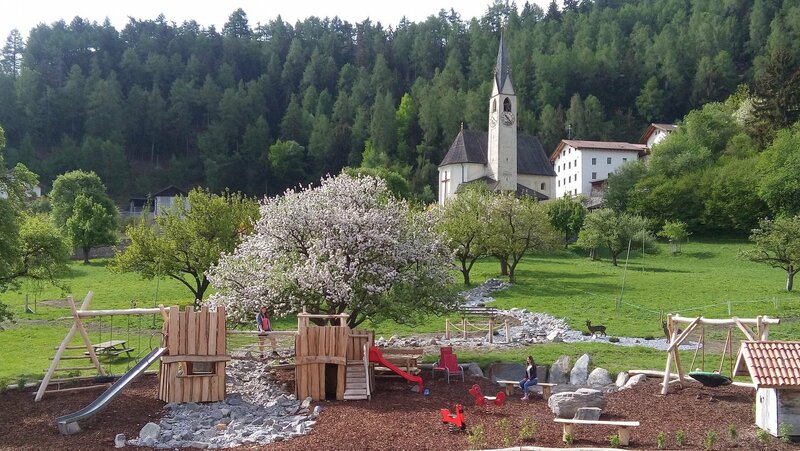 In addition, an inviting playground is located within sight of the apartments. 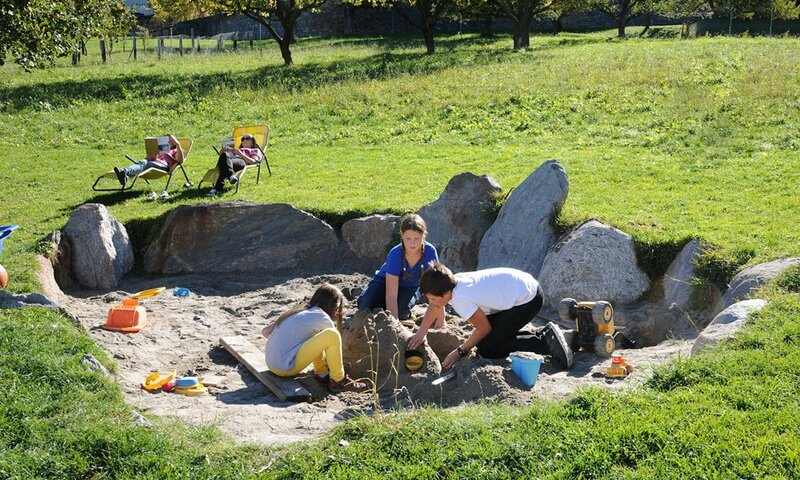 Recently a sand play area has been created now by us and offers to your children even more variety. 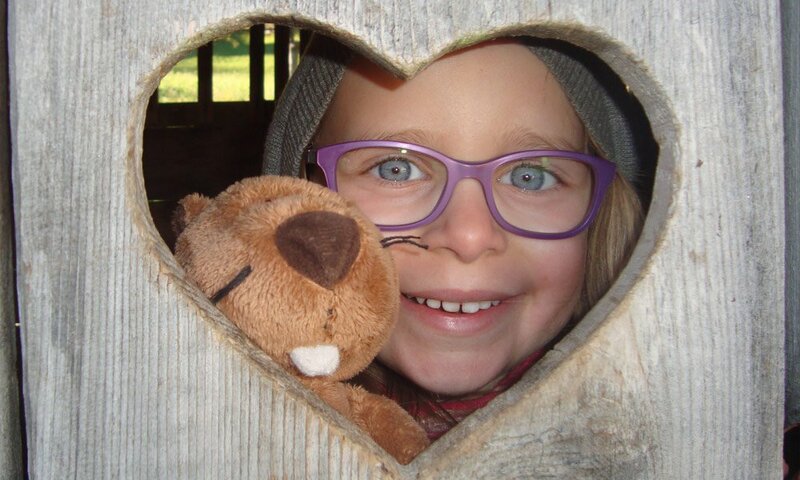 Should the weather not join the game, your kids can have fun in the playroom. We have set up also a brand new playroom, that you may like to conquer. 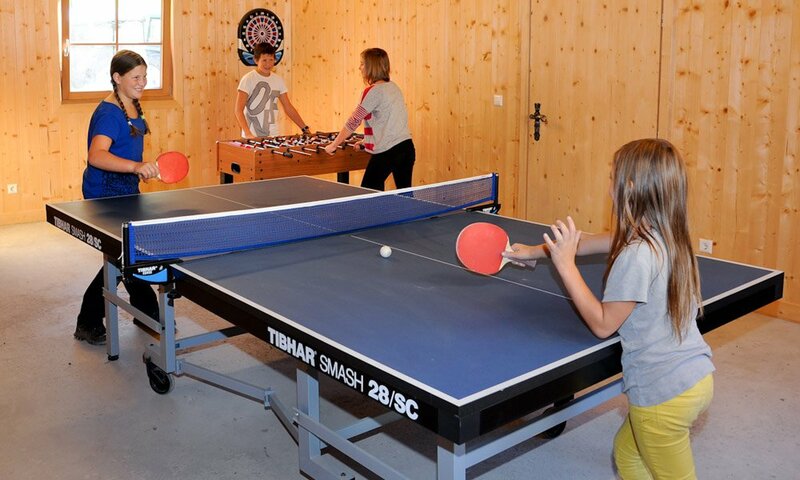 There you will find attractions such as table tennis, table football, table skittles and darts. 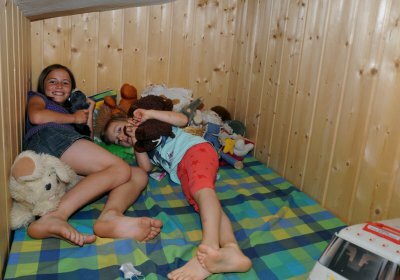 As you can see, we have thought about many things and always try to make interesting every single day during a farm holiday with children.